Design/ Build for most small projects is where the general contractor is providing the design, engineering and permit submittal drawings. It is marketed as an expedited way through a construction process. The claim is that communication is simpler, there is one point of responsibility, and the whole process is faster and more streamlined. This is true to some extent. However in my 34 years of experience, I have found that for most small to medium sized projects, the advantages of design/build are substantially more beneficial to the contractor rather than to the owner. Here is why. In most small to medium construction companies, there is no full time dedicated architect or even a drafter; that is too much overhead to maintain. They may market themselves as a design/build general contractor. 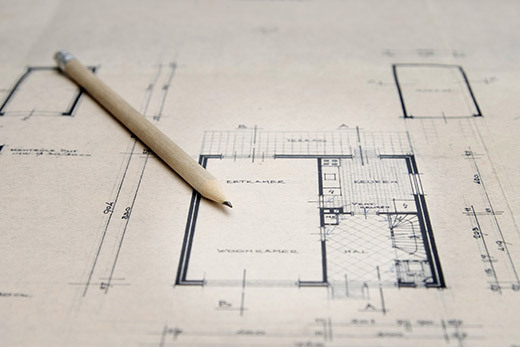 But what you will find is that they offer design build services because they have a deal with an architect, engineer, designer or draftsman to work with them for the design phase of their work. And, in most cases they will have the subcontractors produce the mechanical electrical and plumbing drawings. I have experienced disasters in trying to submit sketchy sub-contractor drawings that the building department rejected. So if the design/build contractor says he’ll save you the cost of the design, be assured that somewhere, he will be building it into the cost of construction. Nobody works for free, and if they do you’ll be getting what you pay for. So, typically the designer, working with the design/build contractor, will come up with some designs to review with the owner. This is where the design process gets short circuited; the designer will not be learning the owner’s needs and suggesting creative options. Instead the emphasis will be to expedite the process, come up with a design quickly that the owner will accept and the contractor feels that they can build economically and with speed. The contractor will have factored into his price a fixed amount for the design. Remember, a contractor will have given the owner a price for the construction and will be under contract with the owner before he starts spending money for his designer to start work. The contract may have a range of prices or have a base price plus some options. But lets say for example, the owner wants to build a mezzanine in his warehouse. He’s not used to thinking about the details of construction, he’s looking at the big picture and is anxious to start business in this space. The contractor gives the owner a very appealing number to start but there is never any discussion regarding the mezzanine railings. The contractor figures for a wood stud and sheetrock railing that is 42” minimum height to meet code. However, during construction the owner realizes that the railings will be solid and says that he had always anticipated open railings, so he could see better into the space below. The contractor says, “this is the way it’s always done” and that he just figured that was the way the owner wanted it, the cheapest possible. Now what does the owner do? The contractor says that if the owner wants wrought iron railings it will be an extra to the contract but he offers to get a quote from his wrought iron company. The quote comes back and it seems awfully high to the owner. The owner doesn’t know if the number is fair or not. He certainly doesn’t want to stop the construction process; he’s too deep into his contractor to fire him and start over, so he agrees to the extra cost. Believe me, when a contractor has your building or house torn up, you are largely at their mercy. The owner always feels like they have power and leverage until after the contract is signed and construction starts. In the case of the railings above, if the owner has a design professional who is working for their best interests, they would immediately request or help you get comparative quotes for the steel railing. Even if a change order were justified, would the owner have thought to have the contractor subtract out the cost of the wood stud railings he had originally budgeted for? He’s not going to do that work now, so the materials and labor for the original railing system needs to be subtracted from the additional cost of the steel railings. There is a reason that the architect’s drawings, specifications, and the 8 ½ x 11 written agreement with the general contractor are called the contract documents. They form the contract between the owner and general contractor. Those big sheets of paper that the architect produces are part of the contract. It just happens to use drawings more than words. The more clear and detailed those drawings are, the tighter the contract is and the less the owner has to rely on the word of the contractor. With a design/build contract you will be signing the contract prepared, executed and interpreted by the design/build contractor. In the case of a disagreement, there is nobody to stand between you and your contractor. In a design/build scenario the less detail that is included in the drawings the more it can work in favor of the contractor. It leaves it open to interpretation and the contractor will be the one interpreting them. In a design/build scenario for instance, if the contractor has billed and been paid for three quarters of the work and only half of the work is done, then if anything should happen to him, including insolvency, injury, abandonment, or death, the owner is out of luck. In traditional design/ bid/ build contracts where the architect is doing construction observation, payments will not go out to the contractor until after the work is done and the architect has certified payment based on the percentage of work complete minus a 10% retainage. Questions the owner might ask when offered a design/build contract to sign: does the contract include a date for completion, and a per day penalty if that time is exceeded? Okay maybe the contractor told you that those contract clauses were not enforceable in this state. True, but if there is a commensurate amount of reward incentive for everyday he is early, then it is enforceable. Does the contract call for a 10% retainage to make sure that the project gets completed as the traditional AIA contracts do? Does the contract include a schedule of values and a payments schedule? I advise owners that the traditional way is almost always the best way for our small projects. Owners will be well served to start by defining the contract as clearly and as completely as you can through a quality set of construction documents from someone that is your agent and works for you. There will be less uncertainty and the bids that you do receive will be more competitive. I tell clients that the amount of money you spend on upfront design fees you should save by getting more competitive bids. You will also have more control of the project and another seasoned professional to represent your interests. Certainly I’m not suggesting here that all design/build contracts or contractors are bad; I just think it’s not in the owner’s interest in most cases for small to mid sized projects. There are some owners who have an in-house development team, a construction manager, or who are repeating a familiar building type, and are seasoned construction professionals for whom design/ build can work well. But for those owners who are embarking on their first construction and development project, this advice applies. Be savvy when it comes to bid allowances. If the contractor puts an allowance number in the contract, say $2,000 for light fixtures, you should have some realistic idea of how much light fixtures will actually cost and the quality that you will be getting. If the actual fixtures cost $10,000 then the allowance may have been used to make the design/build contract price seem less than a competitors’. But in any case, it gives the owner a budgeting shock. And one last word of warning, don’t be seduced by a low initial design/build contract price. You need to look at all of the ways that cost increases can be built into the contract. Usually, the first price number is the lowest one you will see.